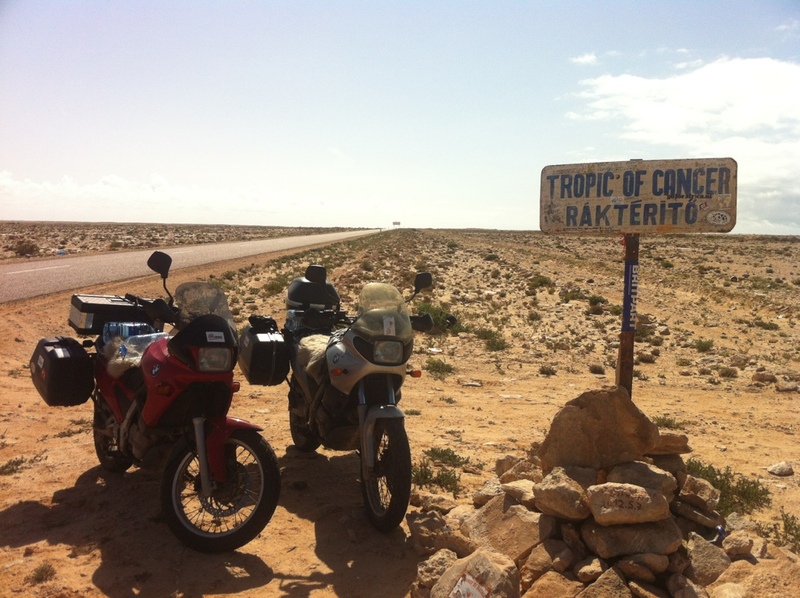 We had to stop for a photo by the Tropic of Cancer sign. Good to see other overlanders having stuck their stickers on the sign. You’ll be pleased to know there’s now a ‘two wheel exploring’ sticker there too!